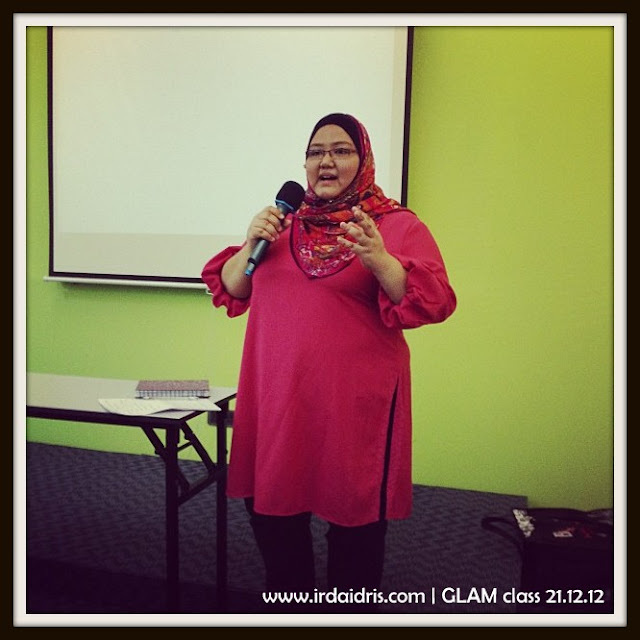 Irda Idris - Our Wonderful and Beautiful Journey: GLAM Class 21.12.12 & I AM THE MC!! 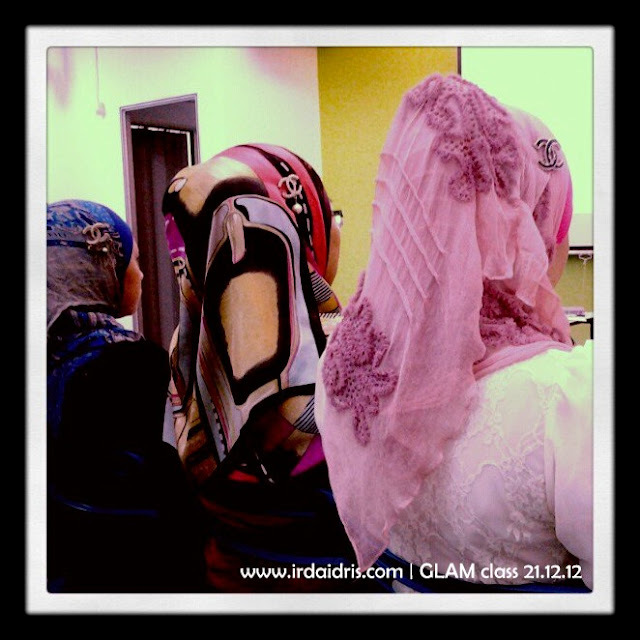 Assalamualaikum and hello to all my blog readers..
For those who read my blog, as you all would know, the presenters during our GLAM class will be rotated based on the CDM in charge. 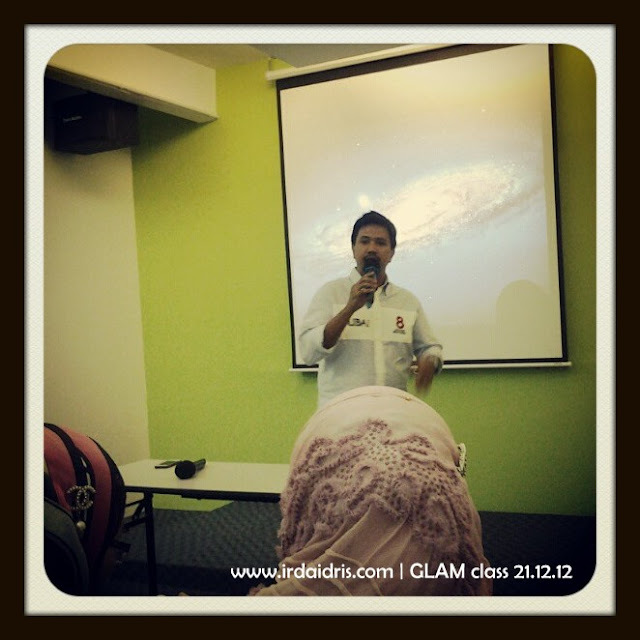 So, on 21 December 2012, my beloved mentor CDM Naa Kamaruddin group were chosen to be the presenter. So, that night Hairil helped to drove me to class.. We left home after Maghrib prayer and reached GLAM around 7.30pm. Had our dinner together and I went to class. Waited for the class to start.. But 8.15pm, soon to be CDM Mursyida Mohsin told me that CDM Naa Kamaruddin wanted to brief me as the MC for the day couldn't make it as she was sick.. Although I was pretty nervous, I took the challenge and prepared myself in 15 minutes.. Thanks to CDM Naa Kamaruddin for the detail briefing..
All in all the day went well.. Alhamdulillah.. so, lets enjoy the pictures below.. Credit to CDM Naa Kamaruddin, CDM Hanis Haizi, DSM Juju & Wanie Lehon for the pictures.. 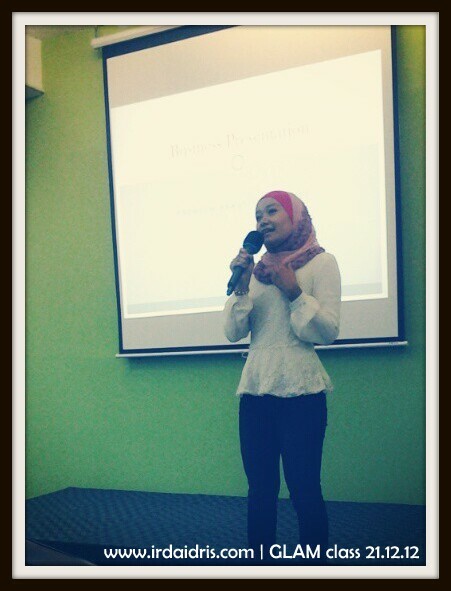 I didn't have the chance to snap photos that night..
Me as the MC.. Opening the class with Hai-O song and calling upon CDM Razali Zain to introduce our representative from HQ..
CDM Razali Zain in action.. We are so lucky that a representative from HQ came all the way to introduce to us a new product from Hai-O.. Representing Encik Zakry from HQ.. 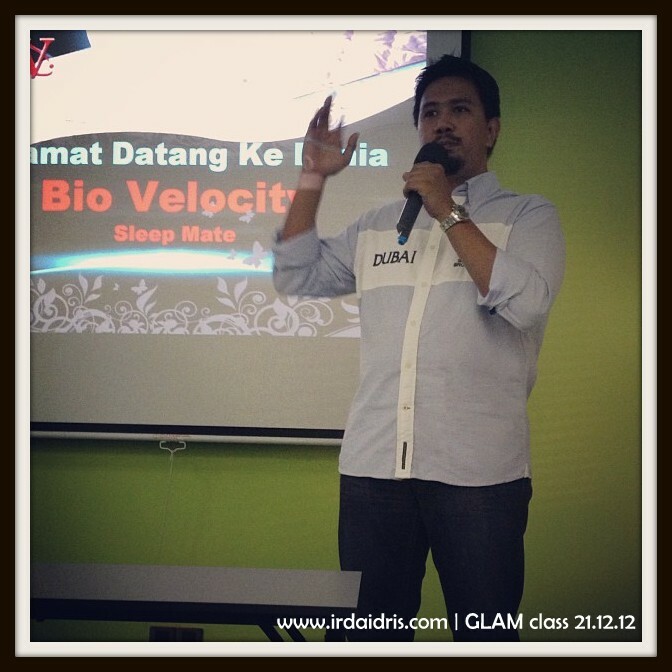 He's here to introduce Bio Velocity Sleep Mate.. A new product from Hai-O.. We are very lucky at GLAM as it is not easy to get a rep from Hai-O to demonstrate the product in person.. 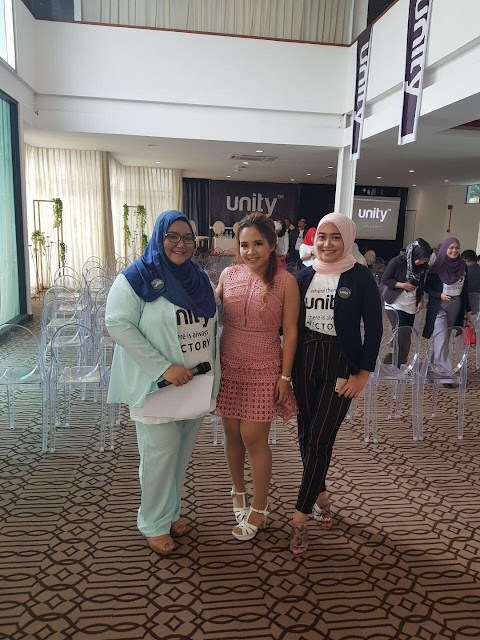 I will share more about the product later k.. What I can say is, if you want a good night sleep and to balance our energy, you should get one.. :) Thank you Encik Zakry for the fun session..
Hehe Me again.. 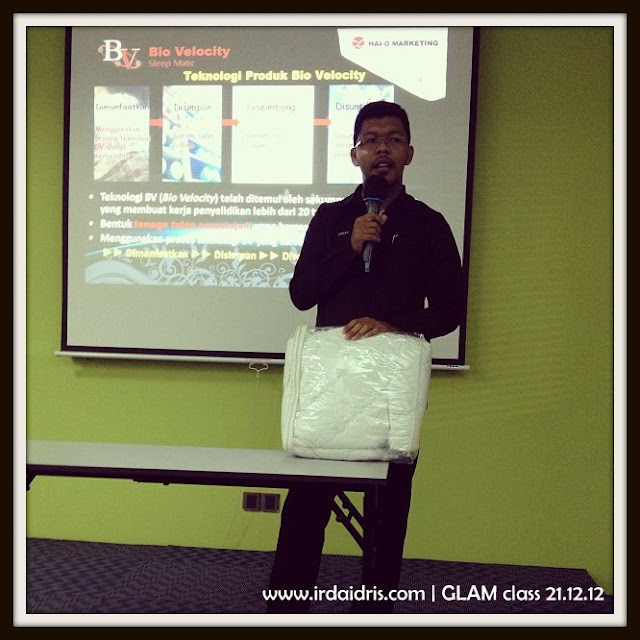 This time I'm calling upon soon to be CDM Mursyida Mohsin to share about our Business Plan to the class.. Soon to be CDM Mursyida Mohsin in action.. Thank you Syida for the clear and concise sharing..
Last slot.. IMP by CDM Razali Zain.. Its a short sharing but it had touched us deep inside.. 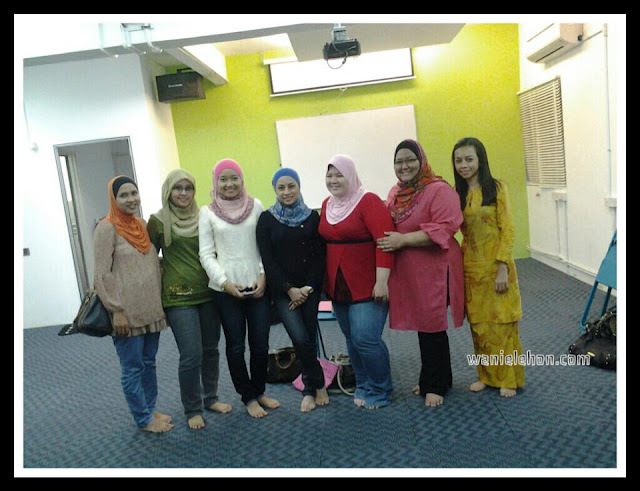 Thanks CDM Razali Zain for the "Nasi Putih Ikan Masin" story..
Our Beautiful Circles team members that stayed till the end of class.. 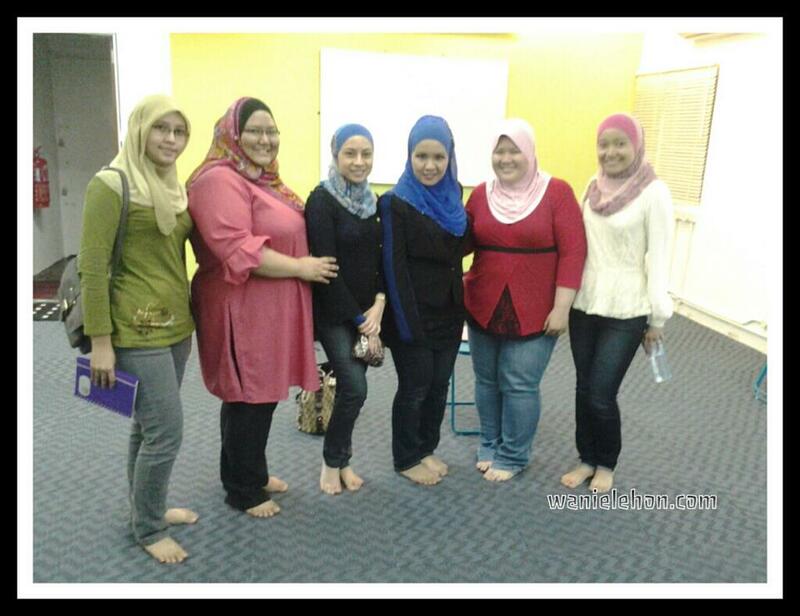 Us with our beloved mentors CDM Naa Kamaruddin & CDM Hanis Haizi.. 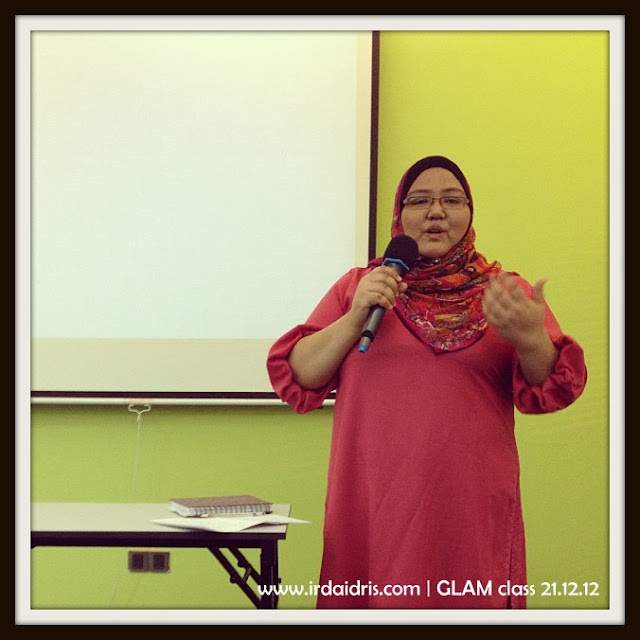 I would like to thank CDM Naa Kamaruddin & CDM Hanis Haizi for the trust & opportunity given to be the MC.. I know they are a lot more to improve but in shaa Allah I'll do it better next time.. Thank you again..
"To change our environment, we need to change first..
To make things better in our lives, we need to be a better person first.."